Broadside for Mons. 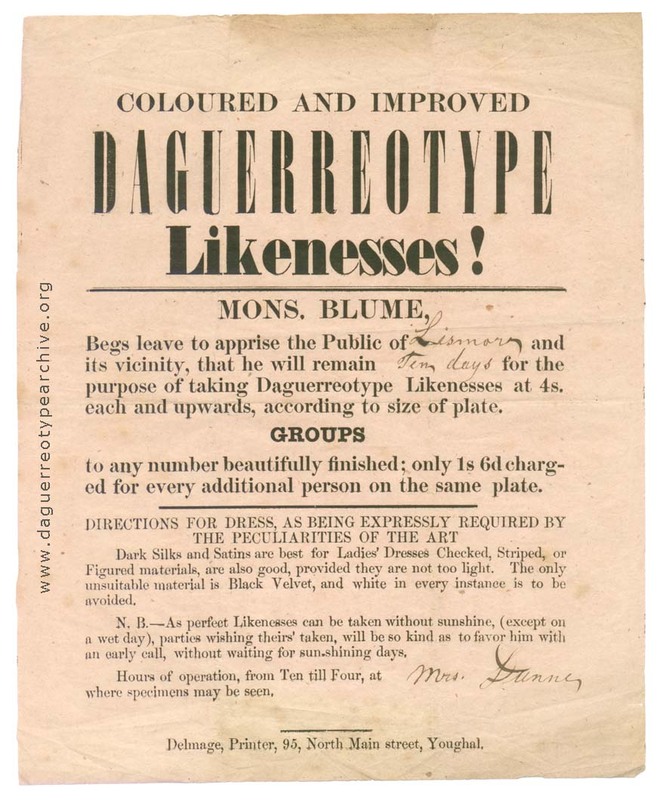 Blume: Coloured and Improved Daguerreotype Likenesses! purpose of taking Daguerreotype Likenesses at 4s. each and upwards, according to size of plate. ed for every additional person on the same plate. an early call, without waiting for sun-shining days. where specimens may be seen. Delmage, Printer, 95, North Main street, Youghal.